In November 2012, voters in Colorado and Washington passed landmark measures to legalize the production and sale of cannabis for social use--a first not only in the United States but also the world. Medical cannabis is now legal in twenty states and Washington, D.C., and more than one million Americans have turned to it in place of conventional pharmaceuticals. Yet the federal government refuses to acknowledge these broader societal shifts and continues to raid and arrest people: 49.5 percent of all drug-related arrests involve the sale, manufacture, or possession of cannabis. 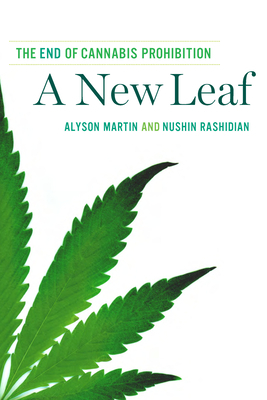 In the first book to explore the new landscape of cannabis in the United States, investigative journalists Alyson Martin and Nushin Rashidian present a deeply researched, insightful story of how recent developments tie into cannabis's complex history and thorny politics. Reporting from nearly every state with a medical cannabis law, Martin and Rashidian enliven their book with in-depth interviews with patients, growers, doctors, entrepreneurs, politicians, activists, and regulators. They whisk readers from the federal cannabis farm at the University of Mississippi to the headquarters of the ACLU to Oregon's "World Famous Cannabis Cafe." They present an expert analysis of how recent milestones toward legalization will affect the war on drugs both domestically and internationally. The result is an unprecedented and lucid account of how legalization is manifesting itself in the lives of millions. Alyson Martin and Nushin Rashidian are both award-winning journalists. Martin's work has appeared in the New York Times, The Nation, and the Albany Times Union. Rashidian's work has been published in the New York Times, The Nation, and Tehran Bureau. This is their first book. They live in New York City.